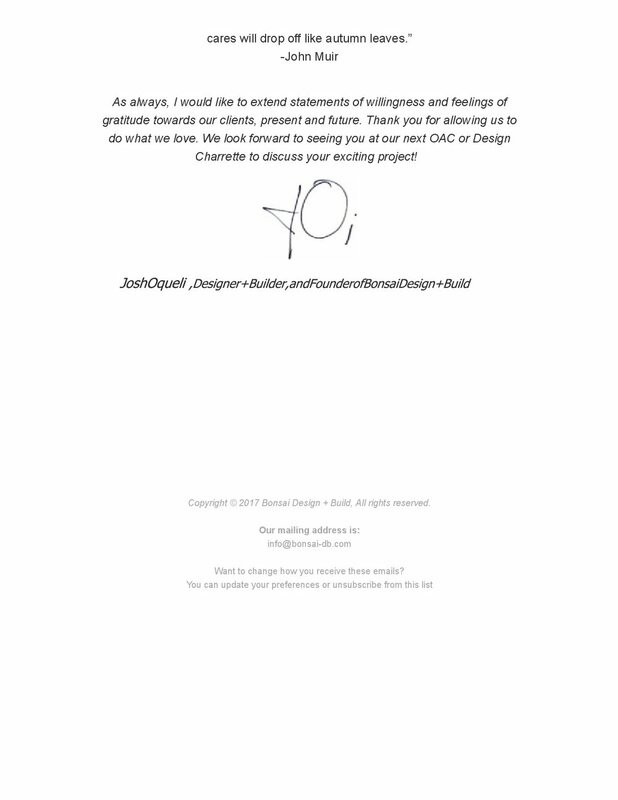 Bonsai Design + Build 5 Years Anniversary! 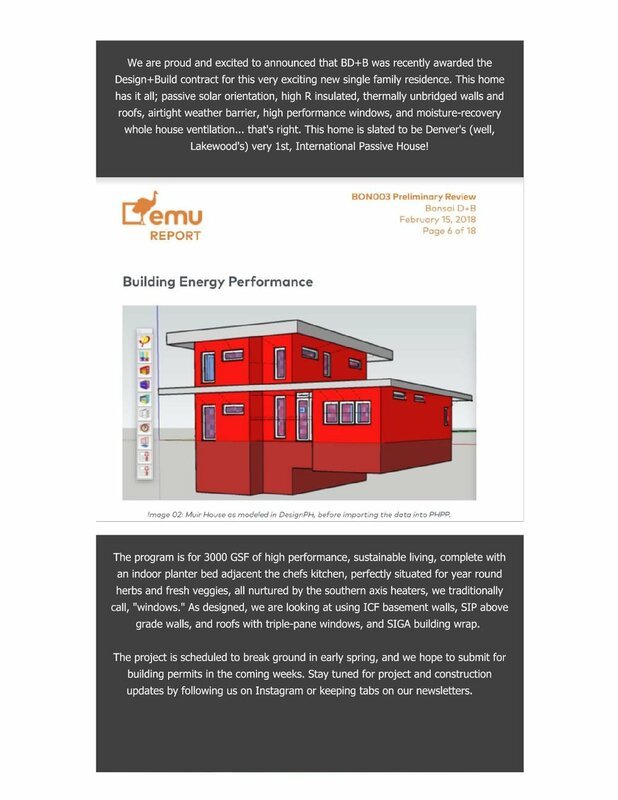 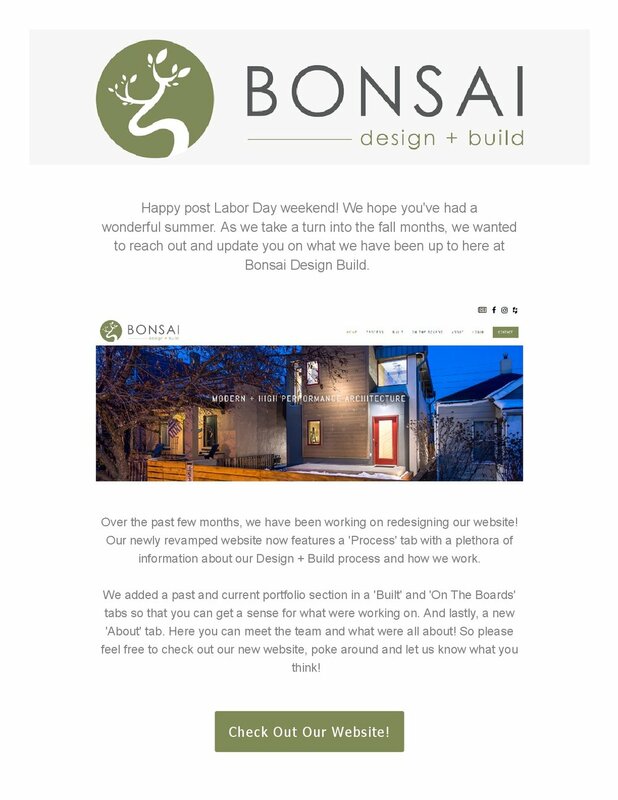 Bonsai Design + Build's 2nd Newsletter! 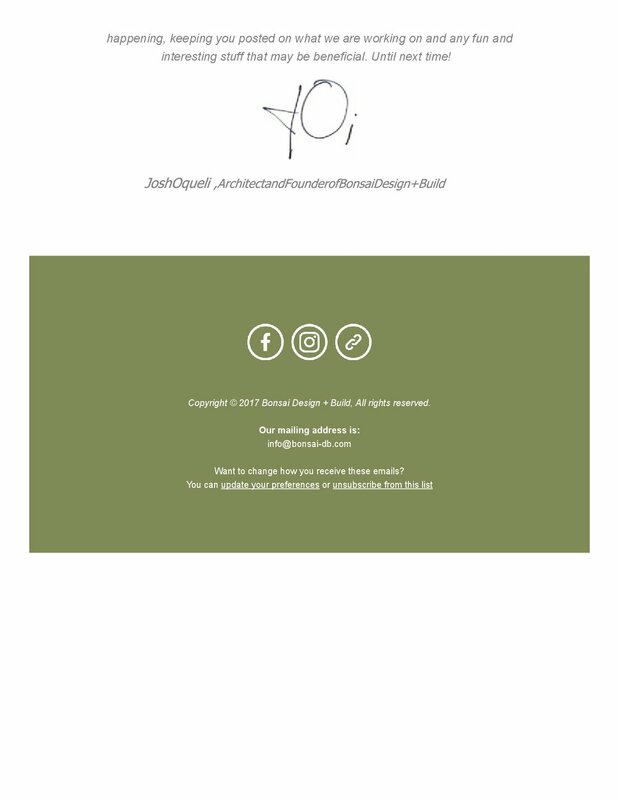 We have some exciting announcements about our newly redesigned website and current projects! 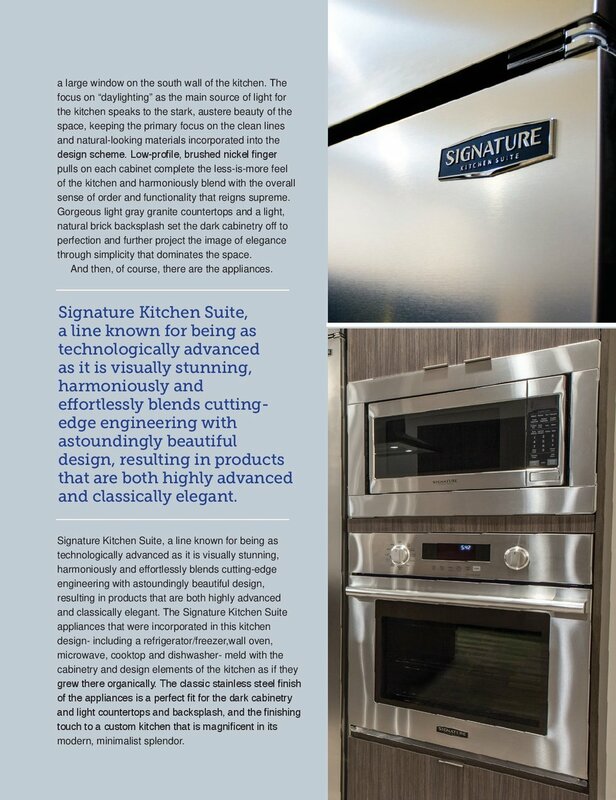 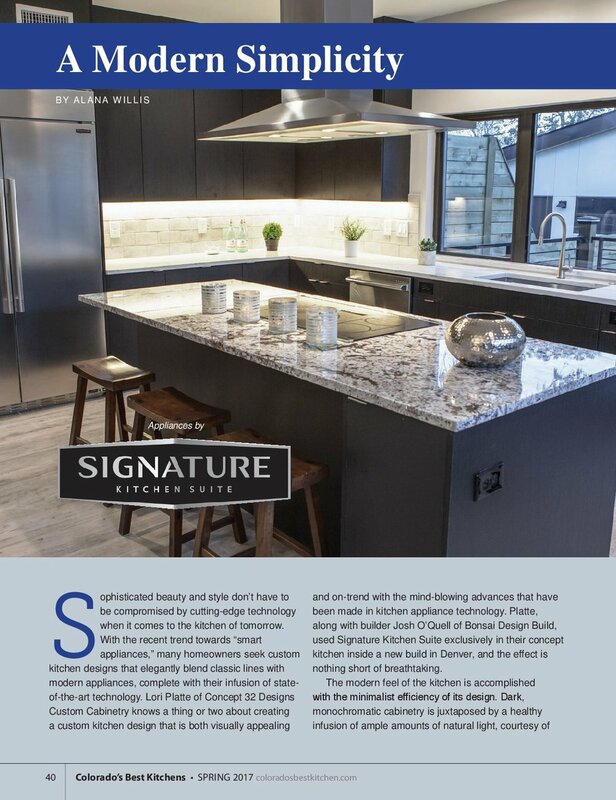 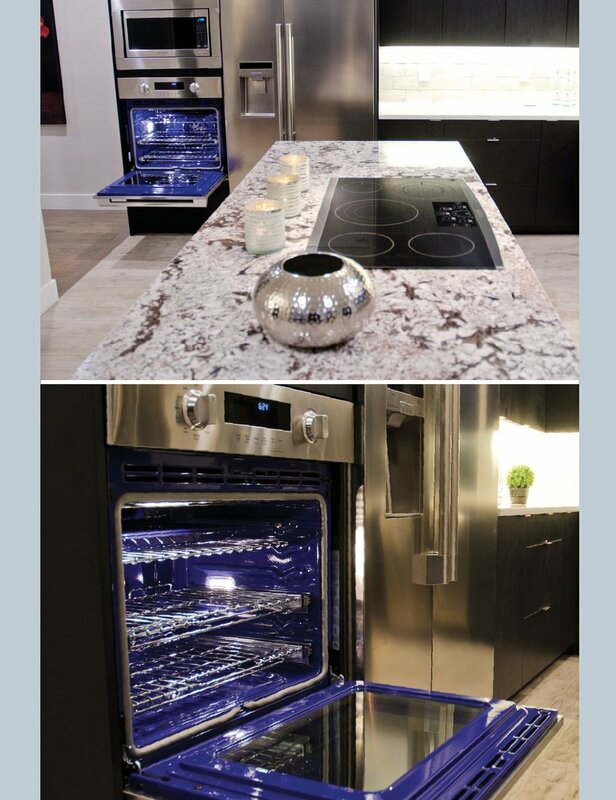 Bonsai Design + Build work was featured in Colorado's Best Kitchen Magazine Spring 2017 issue. 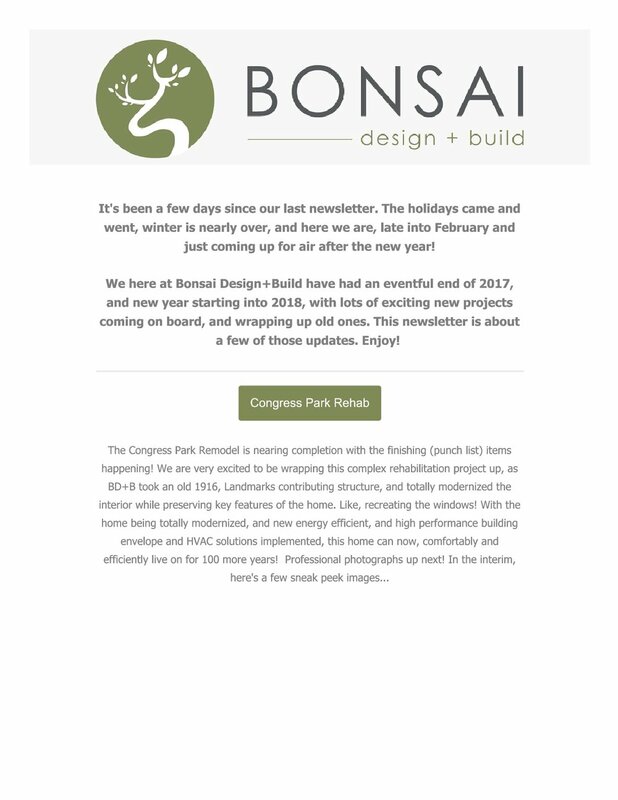 Bonsai Design + Build will be releasing a quarterly newsletter bringing exciting news from us to you! 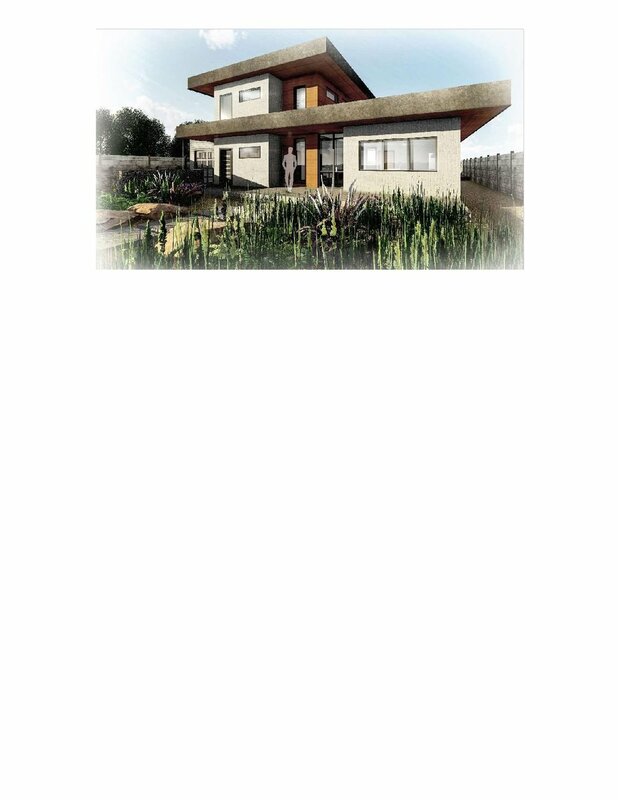 You can sign up today!